The #BlitzForSix kicks off at Shoeless Joes in Belleville! 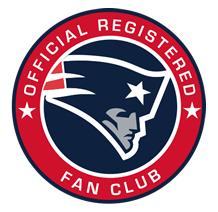 Join us as we watch the Patriots take on the Chiefs on September 7th. Please RSVP to uppercanadapfc@gmail.com so we have an idea of how many tables we'll need. Let's get this season started! Go PATS! If you would like to attend the event please Join this Club.